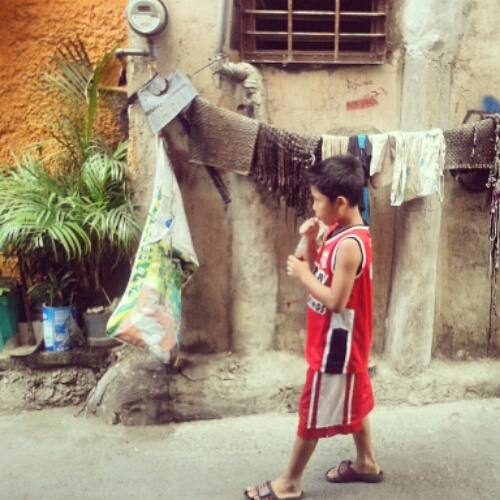 Manila and family time – Where's Walton? Hello Manila! 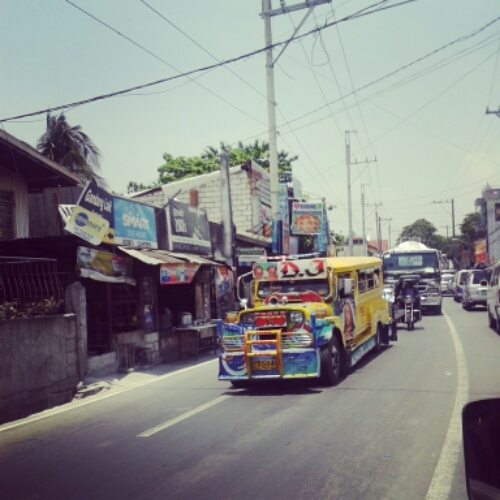 The capital of the Philippines and often described the “Mexico of Asia”. Personally I have never had any problems here, and like most countries all over the world I think if you watch yourself you’ll be okay. But I can see why at times it can feel unsafe. My mum’s side of the family are all born and raised here and this was my third visit. 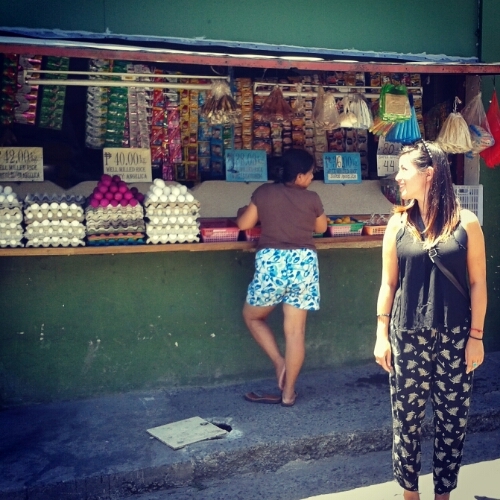 My first visit, I was 14 years old and it was a massive culture shock – I remember I particularly struggled with the heat, food, mosquitoes and to top it off I was a stubborn moody teenager. The second visit I was 22, I had just graduated and I massively struggled with not being allowed to roam freely, I spent the majority of the trip indoors reading and when I did go out, even to the beautiful Island of Boracay (Google it, it’s incredible!) I felt unconfident about going out by myself because I didn’t have much experience of travelling. This was my third time and I do wanted this trip to be different because after backpacking alone throughout Asia, I was desperate to explore more of the Philippines myself, confidently and prove that it could be done safely. 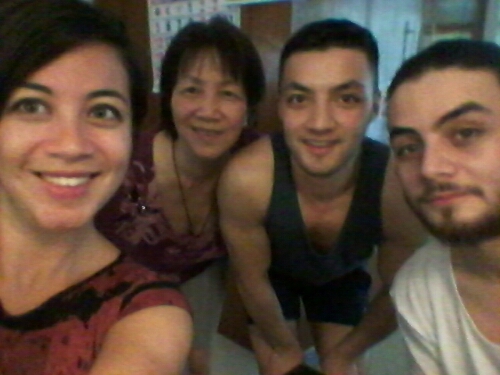 After 6 months apart, my mum and brothers flew over for a holiday. It was a nice reunion the first night as we all arrived on three different flights that evening. 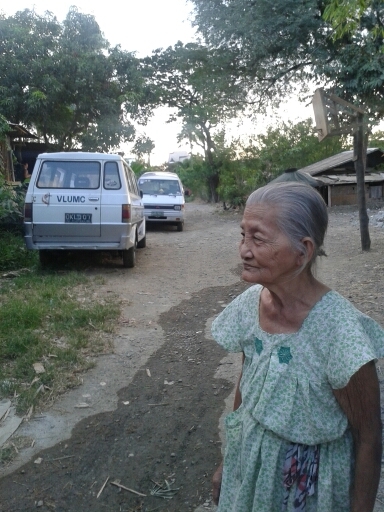 After spending the night in San Juan with my Auntie and Cousins we headed over to Angono, a province outside of the capital where we would be staying with my mums sister, my Auntie Rita who usually lives in London but has had a house built here. This area is quite far out of Manila which is a shame because traffic is sooo bad here and it takes about 2 hours to get in and we were going into the centre almost daily. 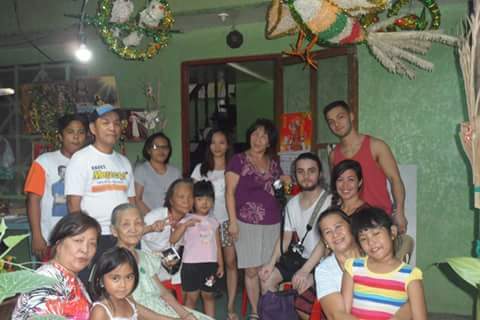 But Angono was ideal as this is near to my Lola (grandmother) and majority of my Aunts, Aunties and cousins. What I like about the area where my family live is that they own an area of land where they have all built houses on as well as mango trees, built ponds for fish and they continue to build on this every time I visit. It’s so great that they are all neighbours, all close and looking out for each other. English isn’t anyone’s first language but they all make an effort to talk to us and I was so happy to see everyone – especially my Lola, who is the sweetest little lady! 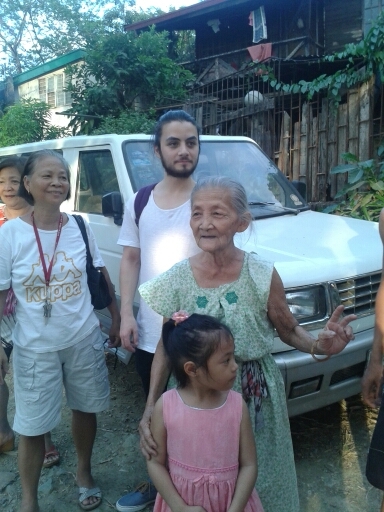 It’s customary in the Philippines for grandchildren to greet her by taking her right hand and putting it to their forehead as a sign of respect and a blessing. She’s always so happy when we do it, especially with me and my brothers knowing we are the western grandchildren and it’s not really been taught to us. She also giggles when we attempt to speak Tagalog (the filipino language). It was a nice mini reunion, this isn’t even a quarter of the family I have here! 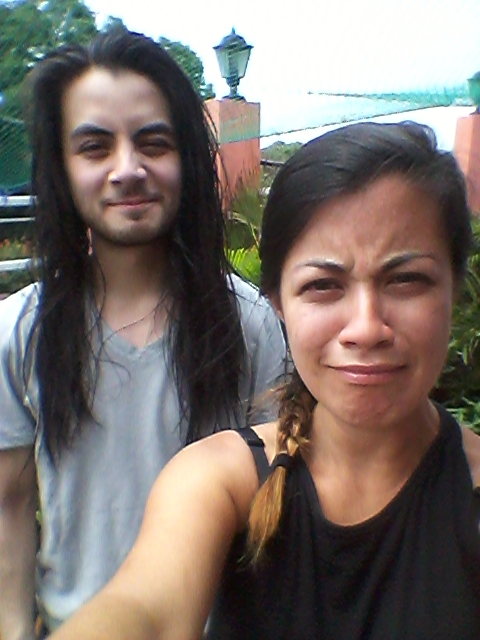 I leave him alone for 6 months and he’s become Sahara from The Ring. He’s also Vegan and had visited the year prior so the whole family appeared to be prepared for him this time. One Auntie regularly carried a tuperware of tofu for him, just in case he got hungry. 🙂 We did not visit one restaurant in the Philippines that knew what a “Vegan” was, Vegetarian, but not a Vegan. But all made an effort to cater to him. It’s such a friendly country. Andrew and I were going to Palawan (one of the many Philippine islands) the next day. Chris had already headed there on an earlier flight and we would be joining him the next day for 2 nights and 3 days of exploring/island hopping with 3 of our cousins. 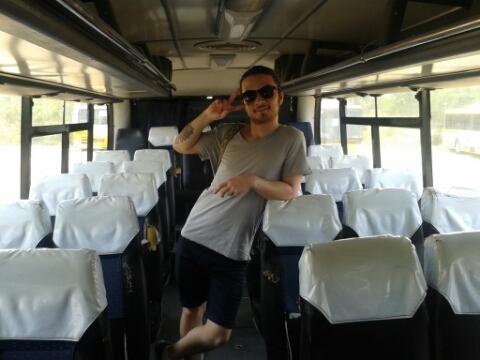 Anyways that day we were off into the centre of Manila via a G Liner. A G liner is a bus/coach service in Manila. It’s cheap to use, has wifi but wow does it fill up, especially at rush hour and a guy squeezes up and down through the Isle to take payment and issue tickets. I was clearly not looking my best… But it’s all very cheap here in comparison to the UK. B) Don’t get it done there it may not be safe or sterile. But you’d be surprised at the level of service I received just for a standard clean. 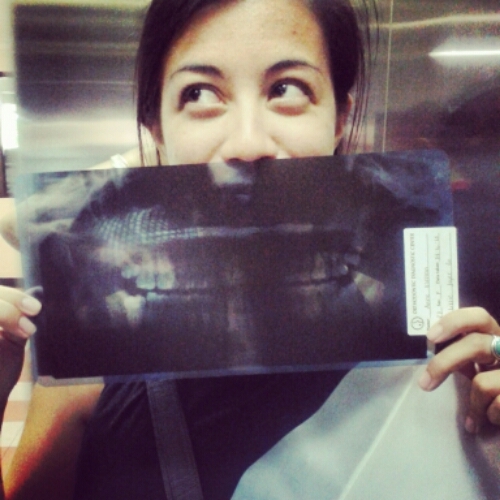 This friendly female dentist examined and cleaned my mouth better than any UK dentist before her. She really knew what she was doing and took her time. I was amazed myself all for under £10! But as much as it is cheaper and so worthwhile in terms of an appointment, it would be £90 for the operation and it would take me out of action for 4 days, not what I wanted baring in mind I had surf lessons booked. After some consideration and research I found it’s actually cheaper for me to get it done on the NHS in the UK so fingers crossed I can sort this out when I’m home.